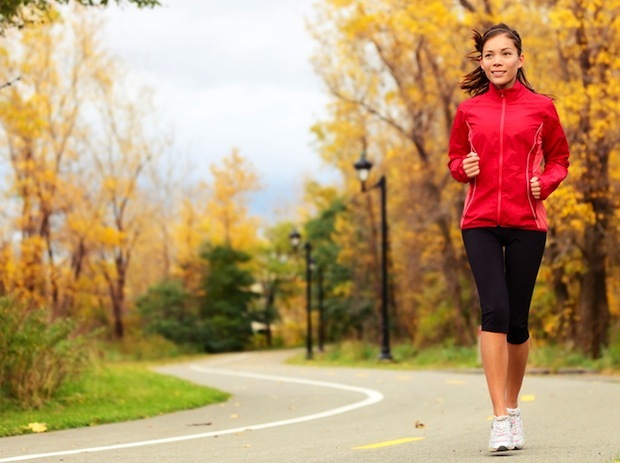 Running your first race this fall? Heed this advice to avoid making enemies along the course. Running your first race this fall? There are a few racing etiquette rules to know before heading to the start line. Photograph courtesy of Shutterstock. Fall is a magical season for runners. Cooler weather infuses our daily slogs with speed, and canopies of multicolored leaves beg us to stay on the trail a little bit longer. And with a race of every distance possible held seemingly every weekend through November, it’s hard to find a reason not to don a bib and compete. 3) Keep moving. If you stop to walk, stretch, or tie your shoe, make sure you don’t do so suddenly, without warning, in the middle of a field of runners—not even at a water stop. “If you plan to walk at a water stop, make sure you aren’t in the way of any other runners,” says Silver Spring runner Lori Horwitz. “I have definitely had to swerve a time or two to avoid a pile-up after people stopped short to walk.” Avoid getting trampled by walking on the edge of the course rather than in the middle, and by turning around to make sure no one is right behind you before stopping. 5) Ditch the pack. Running with friends? Cool. Running more than two abreast? Not cool. “I hate it when people run three or four across, or, even worse, walk three or four across so nobody can get around,” says Takoma Park runner Liz Krimmel. 6) Watch where you spit. ’Nuff said. Same rule applies to blowing snot rockets, vomiting, or expelling other types of bodily fluid. 7) Respect the lines at the portable toilets. “When there is a line for the Porta Potties, get in and get out like you’re the last one in line and dashing to the starting line” before the race, says Arlington runner Courtney Milam. “Do your ‘adjusting’ outside.” Same goes for the portable toilets on the course—the people behind you in line likely need it as badly as you do. 8) Be nice, and have fun. Sometimes all you’ve got the energy to do mid-race is continue moving forward without getting trampled or vomiting on anyone. But if you’re able to muster the strength, say “thank you” to the volunteers handing out water, say “excuse me” to the people you accidentally elbow in the finish chute, offer a thumbs-up to spectators cheering their hearts out, and slow down long enough to high-five the kids with the outstretched hands. Amy Reinink is a freelance writer whose work has appeared in the Washington Post , Backpacker magazine, Runner’s World , and Women’s Running . She’s also a marathon runner, open-water swimmer, and ski patroller who blogs about her training adventures at amyreinink.com.